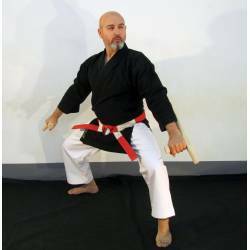 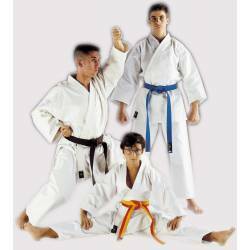 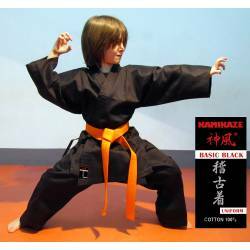 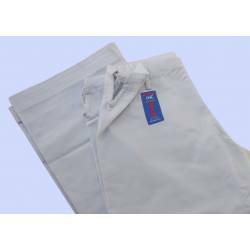 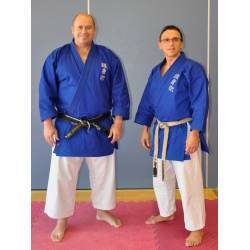 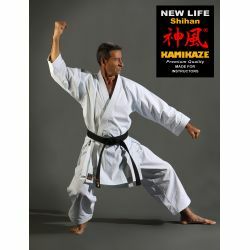 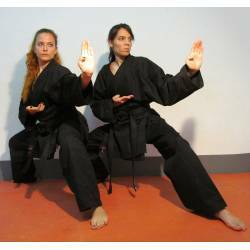 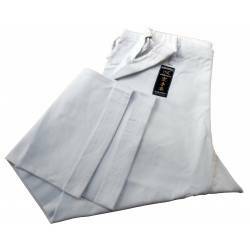 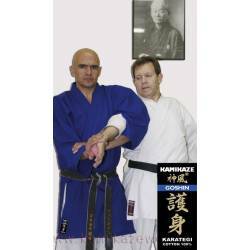 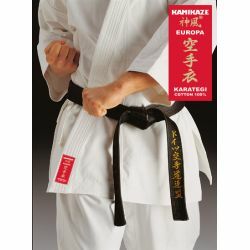 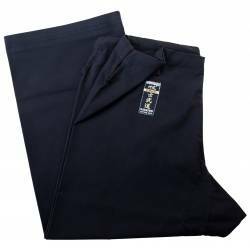 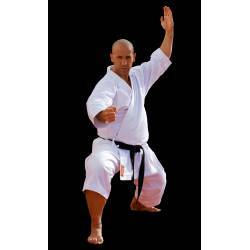 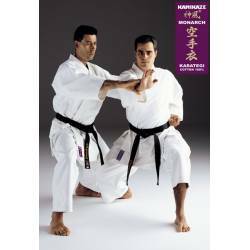 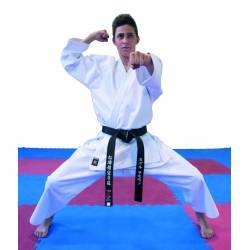 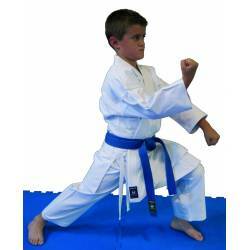 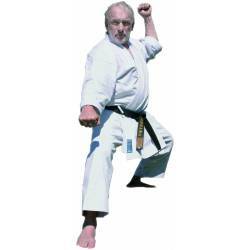 Karategi Kamikaze-KATA-WKF : Superior Medium to Heavy Weight Gi with a noticeable 'snap'. 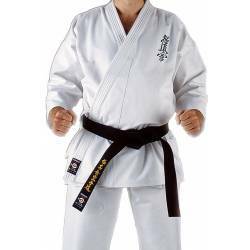 Measurements and design adapted specially for the requirements of today's kata competitors. 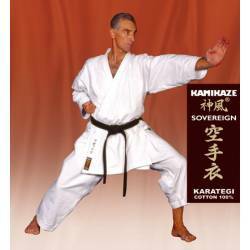 Karategi Kamikaze-KATA-WKF : Superior Medium to Heavy Weight Gi with a noticeable 'snap'. 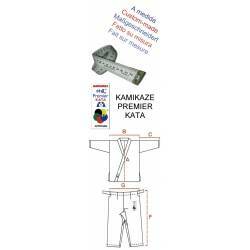 Measurements and design adapted specially for the requirements of today's kata competitors. 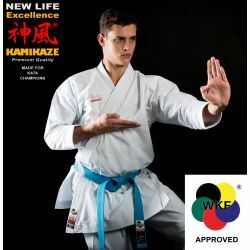 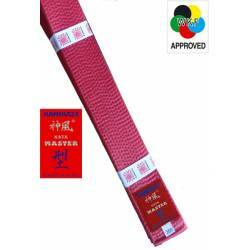 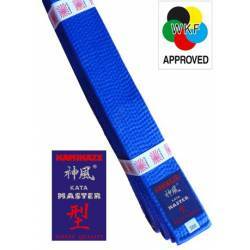 Officially approved by WKF for all national and international tournaments. 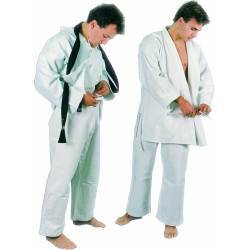 Shorter sleeves and trousers but without being too bulky, allowing the correct posture and technique to be seen clearly. 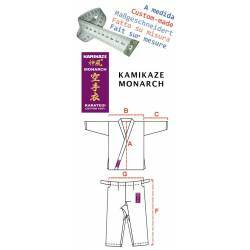 Comes with the Kamikaze brand logo embroidered on the neck.